We are honored to exhibit the photographs from the Mark Shaw Archive. Shaw was the personal photographer of John and Jacqueline Kennedy. 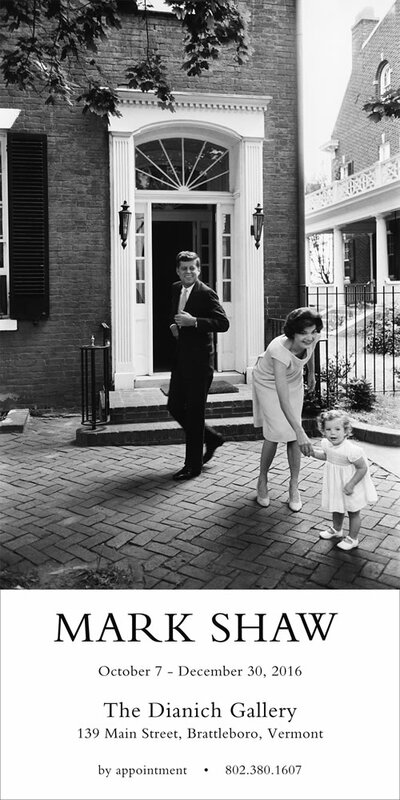 These intimate family and public images were made during the Kennedy’s “Camelot years.” Please join us for this special viewing of these iconic images being shown. In addition, some photographs are on exhibit for the very first time in the United States. See coverage in the Brattleboro Reformer.